I wonder if Licht would cut Beau though. He’s won a super bowl and is a gritty player, more so that McCoy, although McCoy’s play is far better. McCoy’s exit interview just didn’t sit right with me. If we can restructure McCoy then sure why not, but if we draft a guy like Oliver then it’s kind of pointless. I could see Gerald being a draft day trade depending on how the night shakes out for us. I’d like to get something for him. A 3rd of 4th would be great. When you try to change the culture you have to make significant changes. I just wonder if it’s good to continue to have a preceevied leader of this team continue to be a guy who doesn’t know how to win in the NFL, or hasn’t experienced it at the least. Is McCoy going to be open to changing positions this point in his career? I let him go and have Sheldon Richardson and Vita Vea as the 3-4 ends and then both bump inside in the 4-3. JPP stand up in the 3-4 and end in the 4-3. I don't think he cares about where he lines up. Fair enough. If he takes less I'm all for him coming back. Sorry. I still think he needs to go. He'll do better somewhere else. As much as I don't like it, and don't want to see him go, it's time. He's done him time here on AWFUL REGIMES. He knows it, and deserves better as his talents wind down. You can't do it on your own bro! Due to this, my gut says, we'll be stuck keeping Curry and or Beau Allen for veteran and experience in a (well...) winning culture. Allen would make sense just to avoid some dead money. Curry is a free $8M in cap space. We've got JPP for veteran leadership. My bold prediction is either Kwon or GMC will be on the roster, but not both. I know, bold right? 😀 I don t doubt Kwon wanted 12 million per year, pre injury. I can t think of a free agent in recent memory who got full value when coming off a major injury the previous season. So I do think negotiating for both sides has been altered. 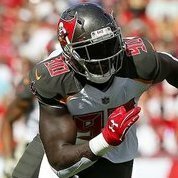 I think Kwon will be on the roster. Right now, the only LBs on the roster under contract and healthy are David and Bullough. 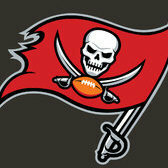 I do think Kwon gets resigned because being aggressive and giving effort isn t his problem. There is more depth on the dline healthy and under contract right now to move towards the draft without GMC.